Benign paroxysmal positional vertigo (BPPV) (otolith disease) is the most common cause of vertigo. Overall, its prevalence ranges from 10.7 to 64 per 100,000 individuals; it is more frequent in women and has a peak incidence in the 50–60-year age group. The labyrinthine mechanical disorder which causes BPPV is due to the presence of otoconial debris detached from the utricular macula and floating freely inside the semicircular canals (canalolithiasis) or attached to the ampullary cupula (cupulolithiasis). According to the location of the otoconial debris, it is classified into anterior canal BPPV (AC-BPPV), posterior canal BPPV (PC-BPPV), and lateral canal BPPV (LC-BPPV). Repositioning maneuvers are the preferred method for treatment, with high effective rate and low risk. They act through the different changes of head position to make the otolith(s) go back to the utricle. 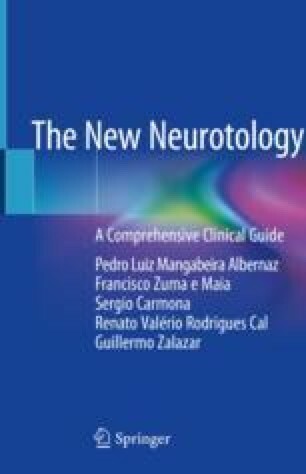 Carmona S, Grinstein G, Weinschelbaum R, Zalazar G. Benign paroxysmal positional vertigo: differential diagnosis in children. Biomed J Sci &Tech Res. 2018. BJSTR.MS.ID.000711. ;2(1) https://doi.org/10.26717/BJSTR.2018.02.000711.